Punalu’u Black Sand Beach, one of the hot spots on the Big Island. There might be too many hot spots on the Big Island to name them all. The most popular are places like Hawaii Volcanoes National Park, Waipio Valley and Pu’uhonua O Honauna National Historic Park. Other places include Akaka Falls, Rainbow Falls and the luxury hotels in Kona and Kohala to name a few. But there are many other hot spots on the Big Island, not as well-known, that you should visit. Ruggedly beautiful coastlines surrounds the Big Island. One of the unique beaches past the South Point area is Papakolea green sand beach. You can get there by hiking over rocky terrain. Or you can pay for a jeep ride provided by enterprising locals. Although the path can be windy and dusty, seeing an olivine-crystal sand beach is a once in a lifetime experience. 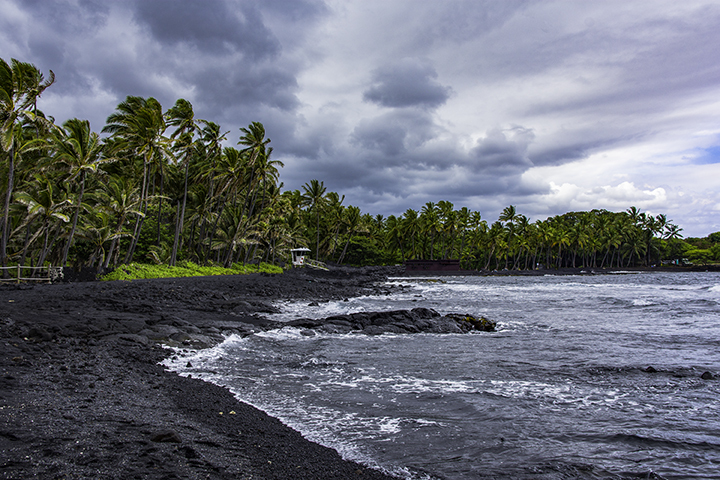 Another must-see is the famous black-sand beach at Punalu’u Beach. It’s near the town of Na’alehu. Here, you’ll see black sand particles, resulting from the explosive confluence when hot molten lava abruptly hits the ocean. Many will not realize that the Big Island is a geologically young volcanic island. As such, it does not have as many white sand beaches compared to the other, older Hawaiian Islands. But here at Makalawena Beach near Kailua-Kona, you can find powdery white sand beach. Its waters teem with tropical fish for those who want to view them through snorkeling gear. If you are an avid snorkeler, the Big Island is the perfect place to be. Visit the Kapoho Tide Pools where the geothermally heated fresh water combine with ocean water. This makes this place unlike any other snorkeling experience. 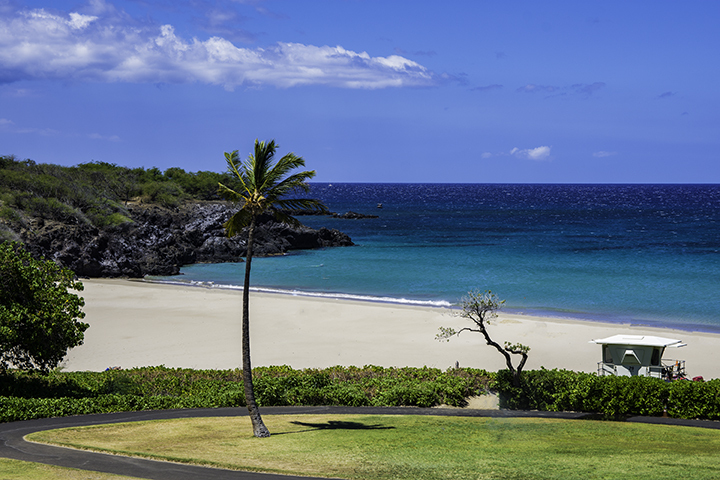 Hapuna Beach and Ho’okena Beach are places where you can find quiet beaches for sunbathing and swimming. Just north of Kona, this sanctuary is the perfect place to acquaint yourself with rare endemic animals. 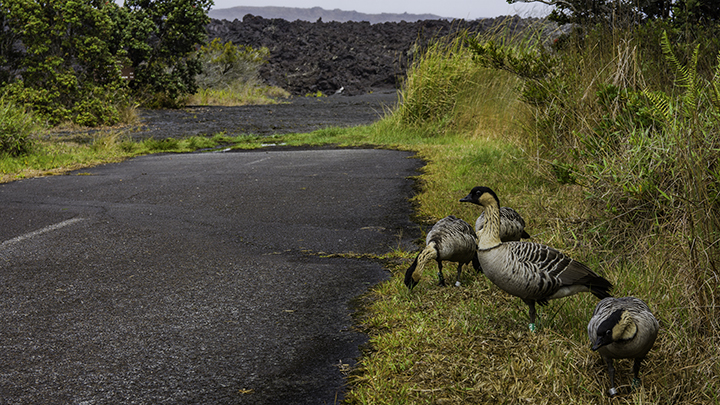 With animals like the Hawaiian hoary bat and nene goose, this will be an informative place for the entire family. For guests staying or visiting grounds of the Mauna Lani Resort should visit the Kalahuipua’a fishponds. These anchialine ponds are unique landlocked bodies of water with a subterranean connection to the ocean. Francis Brown, the prominent local developer of the area, lovingly restored the ponds. It’s certainly one of the more fascinating hidden hot spots on the Big Island. The most notable pond is the Love Pond. It’s called that in honor of Mr. Brown’s lady friend, Winona Love. The pond is a serene place to enjoy an afternoon. The pond is tricky to find, so we recommend talking to the Mauna Lani Bay Hotel concierge for directions. One can swim there, so long as you are not wearing sunscreen. This is because sunscreen is toxic for the type of rare Hawaii shrimp that lives in the pond. If you are in Kona in early November, we recommend attending the Annual Kona Coffee Cultural Festival. It’s the oldest food festival in the state. Here, you can try coffee from over 30 farms as well as thousands of coffee-inspired recipes and treats. 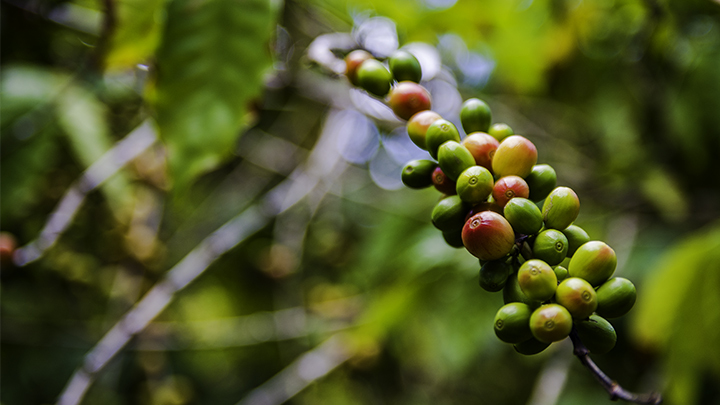 If you are visiting any other time, explore the Kona Coffee Living History Farm on a self-guided tour. Bottom line? If you’re looking for hot spots on the Big Island, make sure you check out its world-famous Kona coffee. To try something different from the typical beach day or hiking excursion. Learn about bee-keeping and creating sculptures out of wax hives. Spend an afternoon with your family and friends at Big Island Bees which produces organic honey. Galleries in New York city and Washington DC have recognized the owner for his beehive sculptures. You can see some of the sculptures at the free museum, which tells about the history of beekeeping. You can also try honey tasting after the museum tour. One can find Lake Waiau within Pu’u Waiau cinder cone near the 13,000-foot summit of Mauna Kea. It’s the third highest lake in the US as well as the only glacial-fed lake in the middle of the Pacific Ocean. The lake is one of five remaining natural lakes in the Aloha State. The lake level rises and falls depending upon the amount of rain in the area. Waiau means “swirling water” in Hawaiian. The ancient Hawaiians considered the lake and surrounding summit area sacred. Scientists are unable to explain the why the lake can retain water while everywhere else on the summit can’t. Plan for at least 5 hours for the trip. And bring a light jacket and lunch; so you can make the most of this unique adventure on the Big Island.